Every 18th of December, Qatar celebrates its National Day (Founder’s Day) in commemoration of Qatar’s unification in 1878. 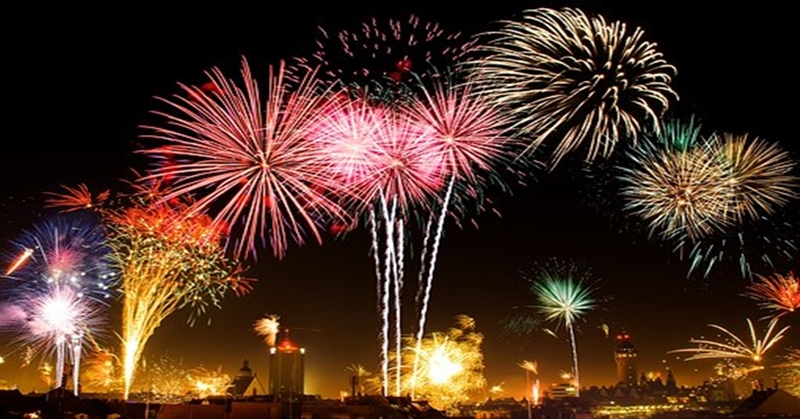 This will be the last in the list of the holidays in Qatar to be celebrated this year. As Founder’s Day approaches, the organizing committee of Qatar National Day (QND) has prepared a series of activities and programmes to be held across the country in celebration of this major event, The Peninsula reported. The Qatar National Day (QND) is commemorated every 18th of December. This 2018, various activities will be held in different parts of the country in celebration of the said event according to the Minister of Culture, His Excellency Salah bin Ghanim bin Nasser Al Ali, Chairman of the QND Organizing Committee. QND’s vision, according to Minister Al Ali, is for the promotion of loyalty, solidarity, unity, and pride in Qatar’s national identity. This year’s QND logo, “As long as it was proven by our deeds” and the accompanying slogan “Qatar will remain free” have been selected from the poem of Founder Sheikh Jassim bin Mohamed bin Thani and the National Anthem of Qatar, respectively. In a recently held press conference, Hassan bin Rashid Al Ajami, the General Supervisor of the Organizing Committee, explained that the activities will commence on December 12, 3:00 PM at the Darb Al Saai and will conclude on December 20. According to The Gulf Times, Darb Al-Saai events will be in the same location as that from last year’s celebration. Opening hours will be from 9:00 AM to 1:00 PM and from 3:30 PM to 10:00 PM daily, throughout the duration of the celebration. There will be a huge participation from the government and other entities. Al Ajami boasted that massive preparations are underway to receive thousands of visitors at the main venues of the QND celebration. Such places are Doha Corniche and Darb Al Saai. According to Al Ajami, over 25,000 seats will be provided along Doha Corniche and large screens will be set up at Al Bida Park for the live streaming of the QND parade. This is through the collaboration of the Organizing Committee with the Ministry of Municipality and Environment and Public Works Authority. 18 departments from four sectors of the Ministry will participate in the activities at Darb Al Saai. Aside from community parades which will be participated by cultural organizations, there will be company parades and student parades as well. The number of expected participants in other events which will take place in various places including the industrial areas such as Al Wakrah, Dukhan and Al Khor is over 125,000 persons. These events will be held by the Public Relations Department of the Ministry of Interior in collaboration with expatriate communities. The new activity for this year is the “Sanad Qanoony”, an educational activity wherein students will perform as lawyers and judges in a mock court room. This activity aims to raise public awareness among children about legal matters and procedures. The Ministry of Interior and Ministry of Administrative Development, Labor and Social Affairs, on the other hand, will organize awareness programs. Medical tents will be set up wherein free checkup of diabetes will be offered. There will be cricket matches as well. Other activities and services include newly launched Al Aown application, strategic urban development plan, Onwani and junior engineer. Through these activities, visitors will be aware of the complete process on the issuance of a building license. Meanwhile, to ensure the successful conduct of the national day events, the security committee for the national day celebrations prepares a security plan in cooperation with the security departments and entities concerned. This is what Brigadier General Ali Khejaim al-Athbi, head of the security committee, assures the people. This is the last national holiday to look forward to this year. But aside from the holidays, Qatar also has annual festivals that people are anticipating. Qatar is surely not a boring country.